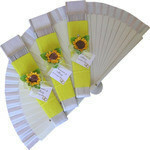 If hot weather is expected on your wedding day, don’t take any chances. Make sure your guests will have something other than your wedding programs to cool them off. 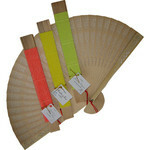 Add a burst of colour with these coloured fans. 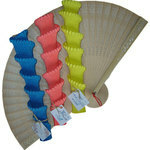 Constructed in the highest quality fabric and natural wooden ribbing, these beautiful fans will keep them cool. 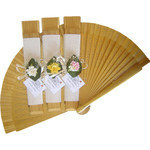 Perfect for outdoor weddings and indoor ceremonies where there is no air conditioning or even to give away as wedding favours. 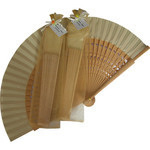 Each fan measures approximately 23 cm length (when closed). 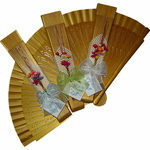 See also wedding fans and personalised wedding fans for middle range printed wedding fan.